Look To The Future. Turn To Panasonic. We provide versatile, expandable solutions that grow with you. Ask about our line of Network Communication Platform products. The Panasonic Smart Hybrid PBX allows businesses to grow and adapt their communication needs as their business expands. With complete flexibility you can configure your communication needs to suit your business workforce, with digital and IP handsets as well as full mobility solutions for your mobile workforce. 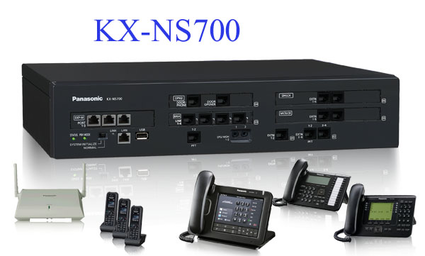 The Panasonic KX-NS700 is not only flexible but also cost effective, ideal for all business types. Unify the way your business communicates. This award winning hybrid phone system is the perfect pair for your businesses expanding communication needs. Migrating to IP is easy, flexible and on your terms with unified messaging, mobile extension, communication assistant, call center enhancement and much more the NS communication platform is quintessential for your "go as you grow" business. 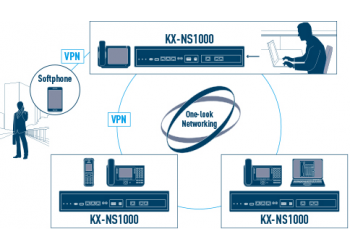 As business communications advance, the KX-NS1000 large capacity IP communications platform enables organizations to unify and integrate a wide range of devices onto a single network platform. Offering centralized, multi-site, web-based programming and more, the platform can handle communications for up to 1000 users and 16 branch locations - connecting offices with real-time voice and data to better serve customers and handle sales. Panasonic Business Communications Systems is very pleased to announce the launch of the Mobile Softphone v2-our SIP-based mobile application running on a customer-provided cell phone. 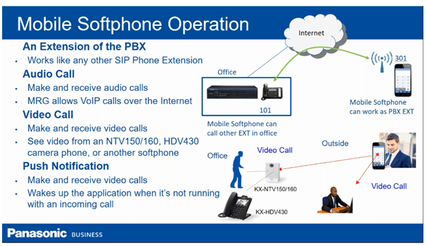 The Mobile Softphone runs on both Android v4.4+ and iOS v10+cellphones as a P-SIP telephone extension on the KX-NS700/700G/1000 v6+ or KX-NSX2000 v3+ Communications Server. The application makes both voice and video calls and operates on cell data and Wi-Fi with SIP transport Layer Security for secure signaling. No additional customer application server is required. UC Pro is our Unified Communication application for advanced collaboration integration with KX-NS/NSX series servers – anytime from anywhere on common business devices. This powerful application works with both digital and IP telephony customers on Windows desktop devices as well as Android and iOS mobile client devices. 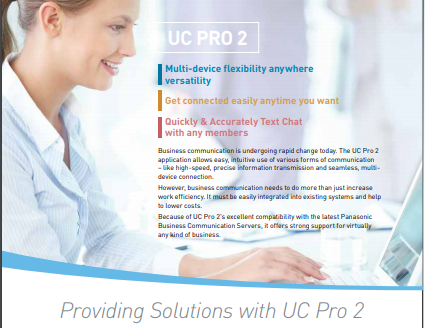 UC Pro has intelligent features like the ability of dialing out of various data sources, along with audio, video and text chat. Share your desk phone, calendar presence status and screen, organize your team into groups and share contacts, as well as keeping a common journal of communications of incoming, outgoing or missed calls. UC Pro also supports optional line licenses that allow UC Pro users to see the presence status of other users on the server not enabled with UC Pro. A versatile communications platform like the KX-TDA50G is ideal for homes requiring multiple extensions or graduate to the KX-NCP500 for larger estate-style installation. Imagine relaxing in your pool house and being able to talk to someone in the kitchen. Or seamlessly routing business colleagues directly to your home office. You can even greet someone at the front door from the pool house. Need to round up the family for mealtime but don't know where everyone is? Simply page all extensions from any location and ring the dinner bell.A Panasonic Business Telephone system that has a residential solution that makes sense. Need to run a few errands around town but are expecting an important call at home? 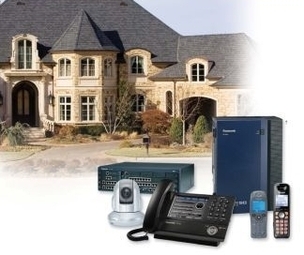 Panasonic Communication Systems feature state-of-the-art wireless technology so call to your home can be routed automatically to your cell phone when your on the go. Better still, you can have your incoming voice mail messages sent to your email inbox as an audio file.